Lately, we’ve been getting a lot of questions from founders, media, and investors about the Technopreneur Circle. “Why did you start it? What’s the point? For dealflow? Aren’t there enough coworking spaces in town already? Doesn’t Singapore have enough community builders?” and on and on. In this article, I’ll get to all these questions, but first, let’s go deep into the history of Tech Circle. At the risk of getting romantic about Singapore, I think the vision for Technopreneur Circle really starts with 1960’s Singapore. It’s still a surprising growth story. 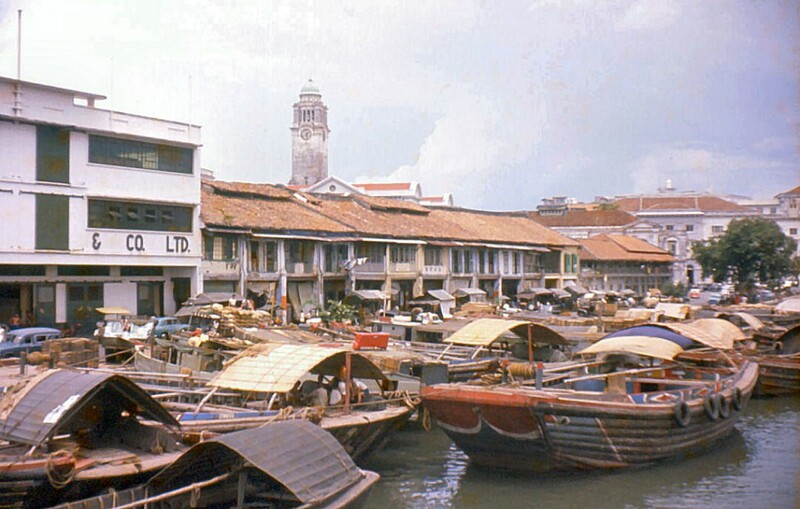 Singapore went through multiple phases of its economy in rapid succession. It went from labor-intensive to skills-based to capital-intensive and now into what some say is an innovation phase. The country has been tireless. And every phase played well to the next. With labor-intensive focus, the MNC’s started to get used to Singapore as a hub. As a hub, Singapore could double down on skills and work towards more capital-intensive initiatives to work on with MNC’s, while producing its own major companies. With each step, Singaporeans were becoming more international, cosmopolitan, and business savvy. But today Singapore is at a new crossroads. I think it’s really the 90’s, as far away as it seems now, that really leads into Singapore’s tech solidity today. In 1999, Lee Kuan Yew made it all the way to San Francisco at the Tech Venture event to give a speech in hopes of deepening the link between Singapore and the heart of the tech universe. The NSTB (National Science and Technology Board) also launched TIF Ventures in 1999, a $1 billion fund to invest in venture capital funds across the world. It was the start of a tradition of Singaporean venture capital backing of funds and the overall tech startup ecosystem. In the early to mid-2000’s, of course Singapore, along with the rest of the tech bubble burst and shrunk, but tech in the world economy has picked up considerably in the wake of the Google’s Facebook’s, Apple’s, and Amazon’s. Singapore’s interest by 2015 is renewed with the NRF backing six venture funds with US$48 million followed swiftly by the ESVF pumping US$28 million into even more. And that’s not all, multiple incubators and funds have been spawned by agencies and companies like the NRF, SPRING, IDA, and Temasek. It’s an unprecedented time. And that’s not all. The public money, resources, and people that have poured in from the public sector are being balanced by a burgeoning local and international private sector. Let’s take a moment to look at the last decade. Everybody knows about the policy, legal system, and financial power of Singapore and how much it has supported the ecosystem. But Singapore’s private sector has also been exploding in the last decade. There’s more firms, more startups, more events, and more exits. It’s a good time to be in Singapore. In terms of exits, the most high profile of the last five years would be Viki, acquired by Rakuten in 2013 for $200 million, and the largest recent fundraise would be GrabTaxi, originally invested in a series A by yours truly Vertex Ventures, for a whopping $350 million. It’s safe to say that venture capital investment into Singaporean tech startups has risen exponentially since 2009. But Singapore is still not there yet. We can’t replicate the Valley, but we’ll build our own stronghold. In Singapore today, we’ve got Block 71, the growing local tech media, the government support and money, coworking spaces, and the local event scene. It’s well documented in Arnaud Bozom’s ecosystem toolkit. We’re extremely inspired by and cognizant of this dynamic and vibrant ecosystem. And we want to offer our support too. We want to add another piece of the puzzle to Singapore’s ecosystem. A free coworking space for residents and visitors of the ecosystem. People can register to use the space for free here. Monthly events will be held in the coworking space (although we are also targeting to have weekly events, ideally with a mix of people from the community and ourselves). We would target specfic useful topics, groups, and formats that would have practical and hands-on impact on peoples’ ideas and businesses. 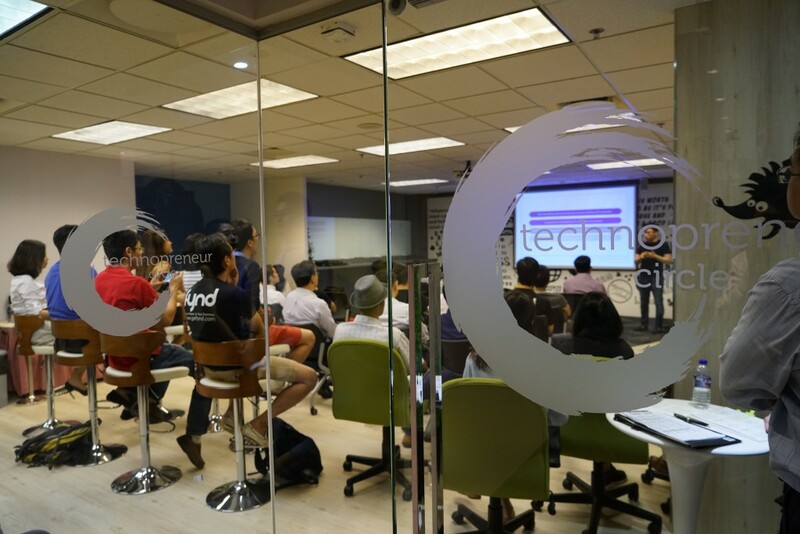 Quarterly larger events will be held outside of the Technopreneur Circle coworking space, targeting larger groups of 300 people are more, bringing large groups of people together. An annual event will be held to address the larger ecosystem beyond just Singapore stretching out to Asia’s ecosystem. Encouraging the cooperation between multiple ecosystems and centering Singapore as a hub. Our new website and newsletter will seek to promote information, news, tips, and more for Technopreneur Circle members and the greater community. We believe we need more data, info, and conversation in our ecosystem and we hope we can be one of the many good portals out there. Pitstop – Instead of workshop series’ or a large mentorship network, we’re keen to start a simple office hours program where experienced investors or founders make themselves available to individuals in the community keen to level up their startup. Internship program – For the long vacation break, students can apply to companies in the Vertex Ventures portfolio for internship. It’s a great chance to learn inside a high growth startup. As you can see from the list above, we’ve got some exciting projects that we believe will help the community. Vertex Ventures may have been investing and participating in the ecosystem for over two decades, but we still feel new and are keen to learn from everyone. We’re hoping that we can partner with people throughout the ecosystem who like the above projects or want to collaborate on more. Let’s build Singapore startup ecosystem together! Please feel free to contact me if you have any questions or if you’re keen to partner with us on any of the above.